I’ve taken in a lot from this forum but haven't contributed anything since I introduced myself months ago. Deep down I feel a little guilty about this. Especially after reading a thread the other day about the possibility of the forum closing down. This is a very special forum and I’m glad it exists therefore I felt the need to contribute. This is not an actual build log I’m afraid but here are some pictures of my first SIB. The model is of the Pwllheli built schooner Edwin. My aunt revealed that my great great uncle was a seaman aboard this ship. Sadly there were no photographs to follow but there was some useful information on the book Porthmadog Ships. With the help of the Porthmadog Maritime Museum I was able to figure out what she looked like. 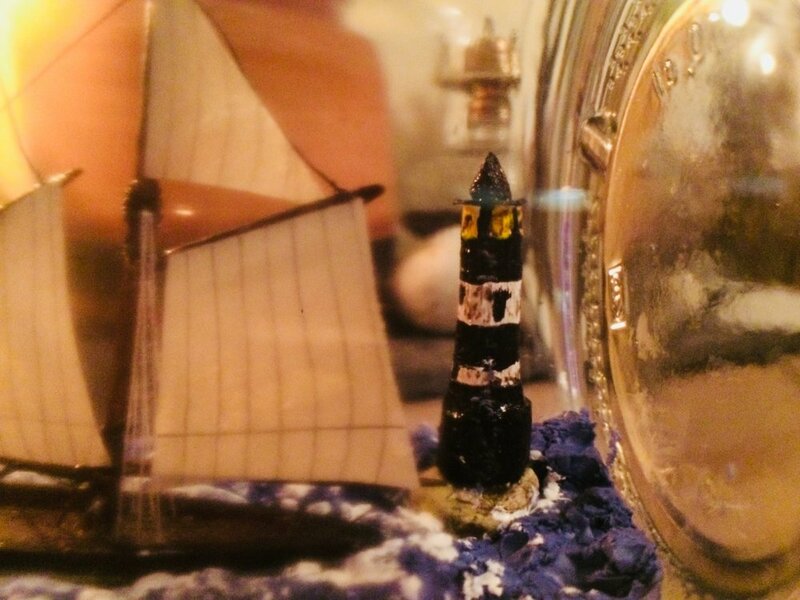 The lighthouse in the bottle is a small model of the Penmon Lighthouse on Penmon Point. 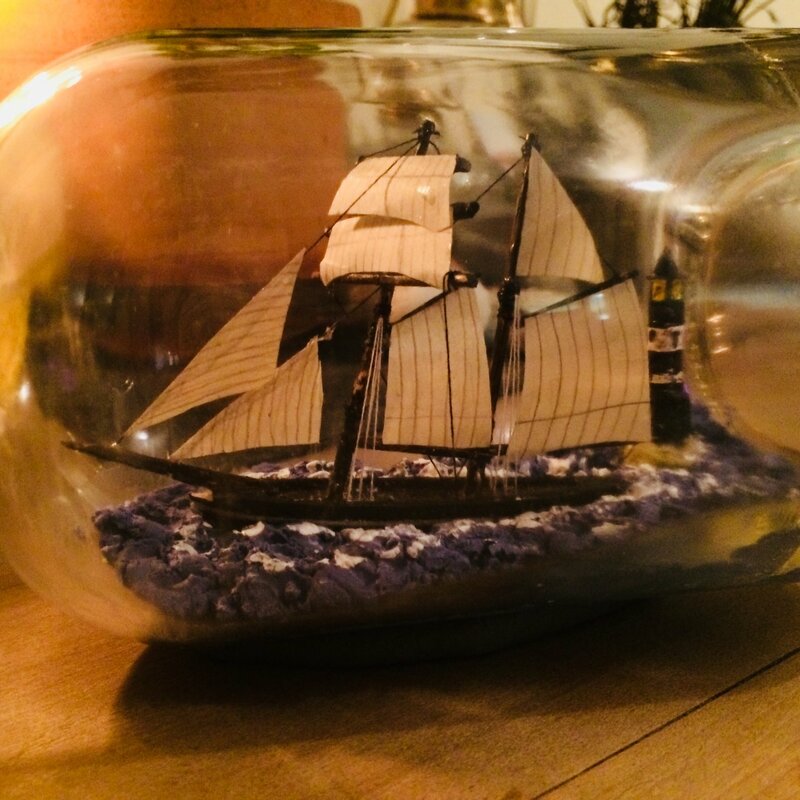 She is a great looking ship in bottle. The rigging is nice and tight. 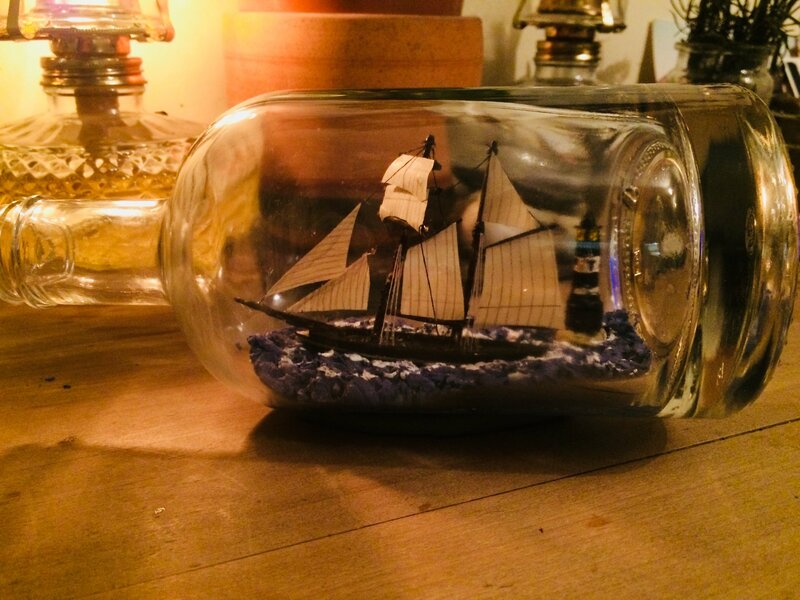 The sails look full and the ship really fills up the bottle. The light house is an added bonus that completes the whole scene. On top of that the fact that it has a family tie makes all the more special. Great work! Thinking of building a three masted schooner next. The M.A James one my hometown’s famous merchant ships. I have more detailed diagrams & photographs of this ship. Nice ship Capten. Well done. The last time I was in Porthmadog was thirty years ago. I remember going on board an old schooner that was used to carry slate down to Bristol and other ports. She was part of a museum exhibition at the time. Is this the same schooner? I remember the schooner well, I was in primary school at the time. from what I remember it was similar to MA James. Love it ! great work and story to go along with it! Thanks. Lovely SiB What is the sea made of? I used gazier putty mixed with acrylic paint. I use glaziers putty as well. It is made to stick to glass. I don't use acrylic paint, though I will try that. I use Prussian Blue oil paint mixed with the putty. It's messy but gives the sea a good colour. Off white for the waves.. However it takes a long while to dry. Even then, one should prevent any sails from toughing the sea. Blue seas are deep water. Greenish are closer to shore. I tested the acrylic paint with putty last year and let it dry & it was ok. I know that oil paint is asvised but I didnt have any at hand. I think the greenish would’ve suited this better, since I put a lighthouse in the bottle as well. Very nice, and great background story behind it!